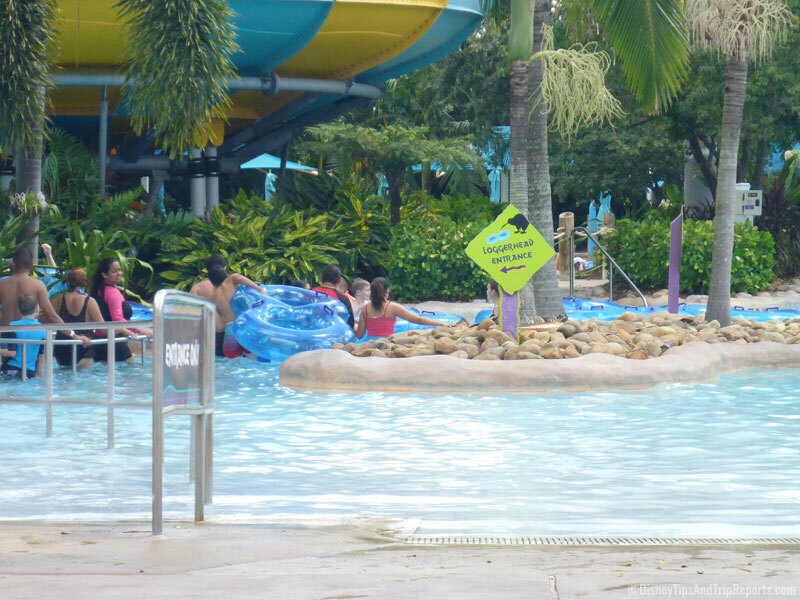 It’s been several years since we’ve been to Aquatica – SeaWorld’s Water Park, and was really looking forward to going back. 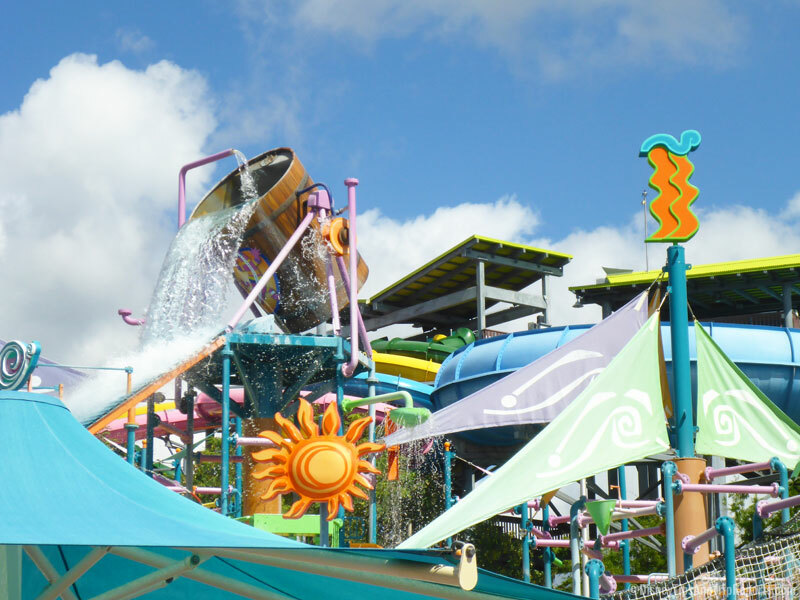 Of all the water parks that we’ve been to, Aquatica is the family favourite. 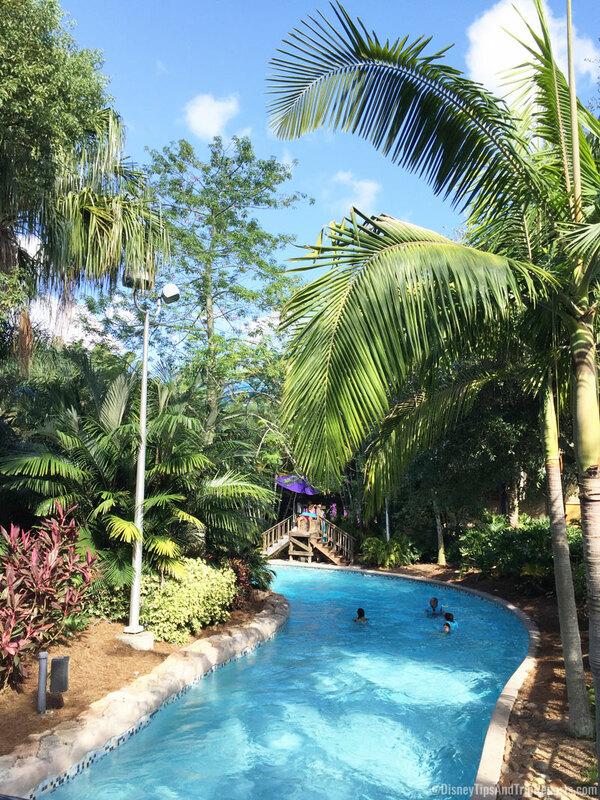 We had admission included with our Discovery Cove tickets, but you can buy them at the gate for $59.99, or in advance for $49.99 (prices current at time of writing). We had decided to hire a cabana for the day so that my ECV would be safe and undercover should the rain fall during the day. Now, I think my brother paid for this, as I don’t seem to have a receipt. Looking on the Aquatica website it seems to be around $60, so I assume that’s what we paid. 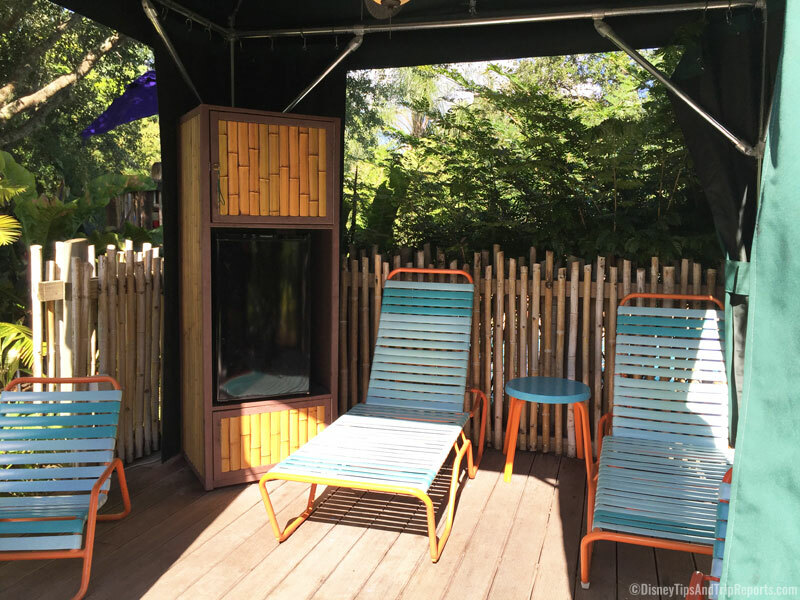 Inside your cabana (essentially a gazebo) are enough seats/loungers for four people (that’s the maximum that can occupy a cabana for the initial cost, after that it is per person up to seven in total), and a little stool/table. You are also provided with towels, a locker, and a refrigerator with 12 bottles of water. Additionally, you receive 20% off merchandise, including photos. This was definitely a luxury for the day, and not something we would usually do – choosing instead to bag some freebie loungers around the park – but I wanted a guaranteed spot for us, and someone that my ECV would be safe. We also bought the all day dining for Banana Beach Cook-Out which is an all-you-can-eat buffet. You are not allowed to take food or drink out of the area, but if you buy a refill cup you can. 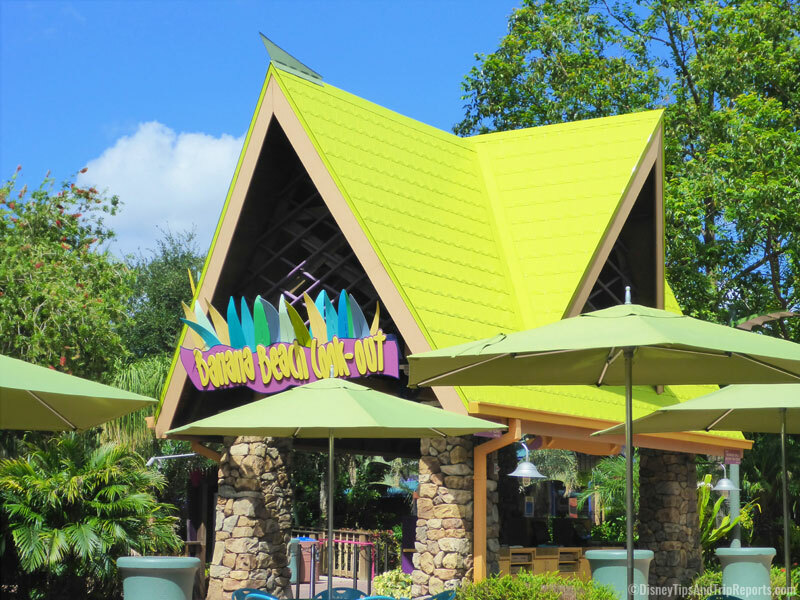 I can’t find the exact info on Aquatica’s site for the all day dining, so maybe things have changed now! 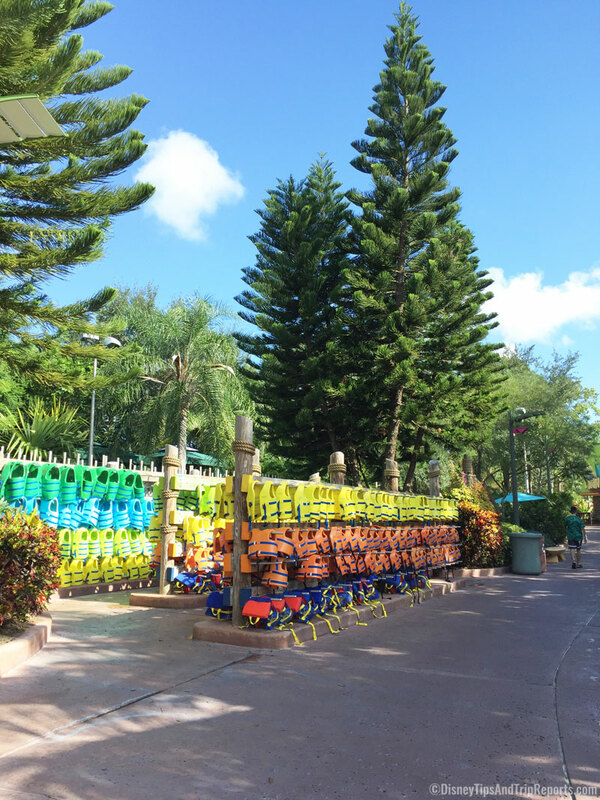 Steve and I came to Aquatica to do pretty much one thing alone – Roa’s Rapids! 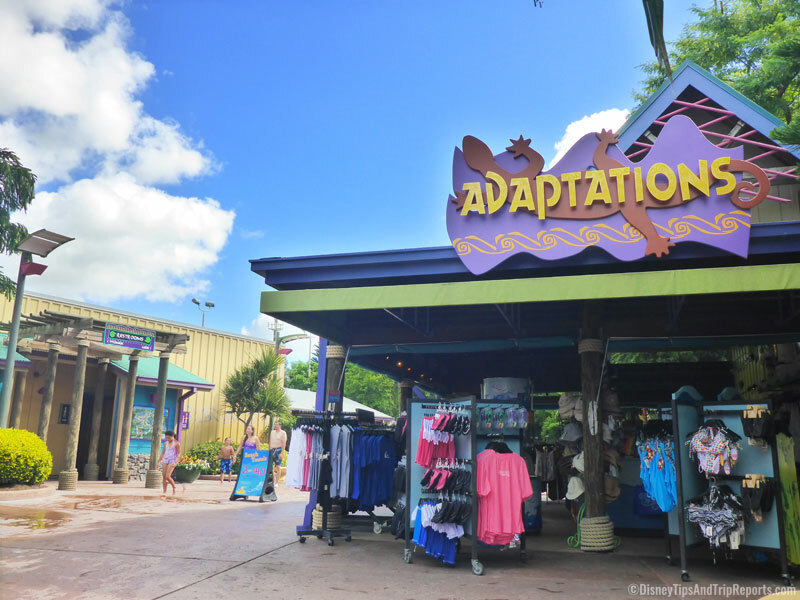 Unlike a lazy river where you just float peacefully along, this ride pulls you along, and in some places, well, it’s not called Roa’s Rapids for nothing – we absolutely love it! When we first arrived it was empty, and we couldn’t stop laughing between the four of us. I don’t bother to use a life vest, because I essentially just float anyway, but Steve always picks one up, and in the end, Chris and Meg thought it might be a good idea to wear one as well. 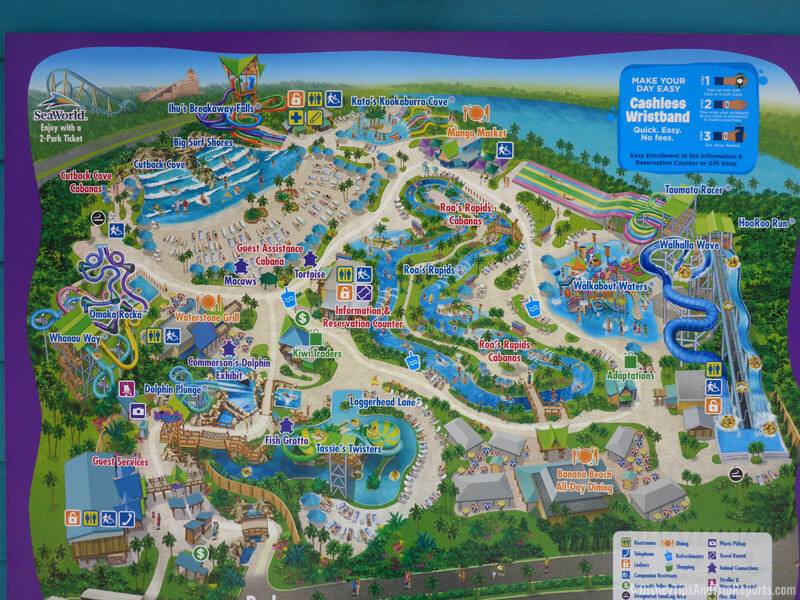 You can pick them up at various points around the park. 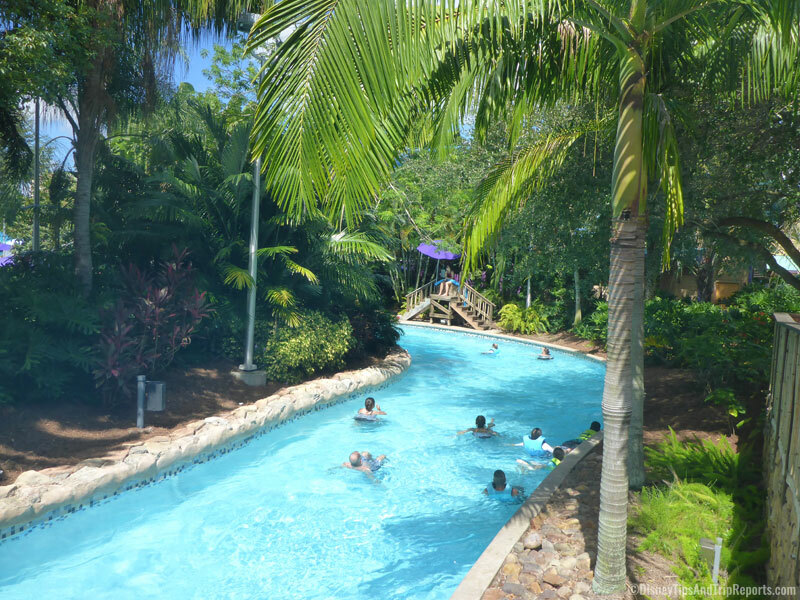 We did also go on the lazy river – Loggerhead Lane, which floats under the Dolphin Plunge ride at one point. 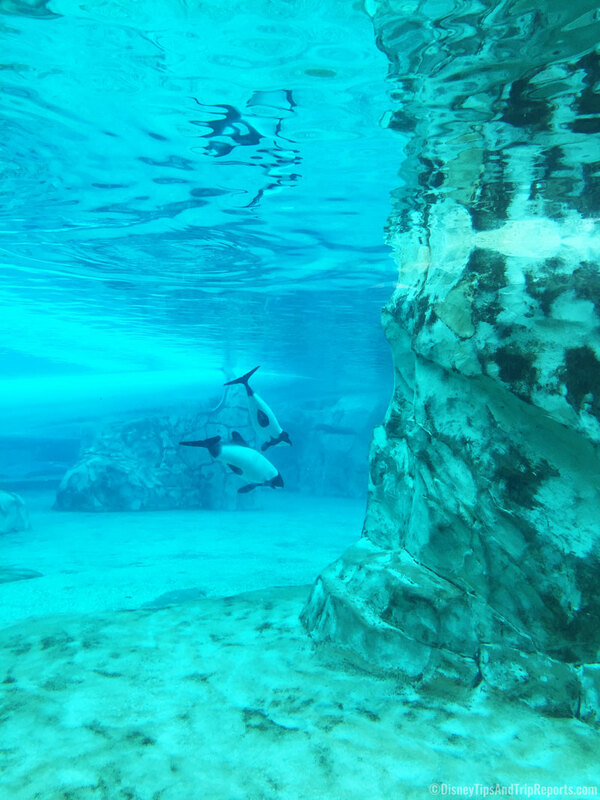 You can see people speeding past on the tube slide that goes through the Commerson’s Dolphin Exhibit. It can get really crowded on this ride, and it’s every man for himself when it comes to trying to grab a rubber ring to float along on! 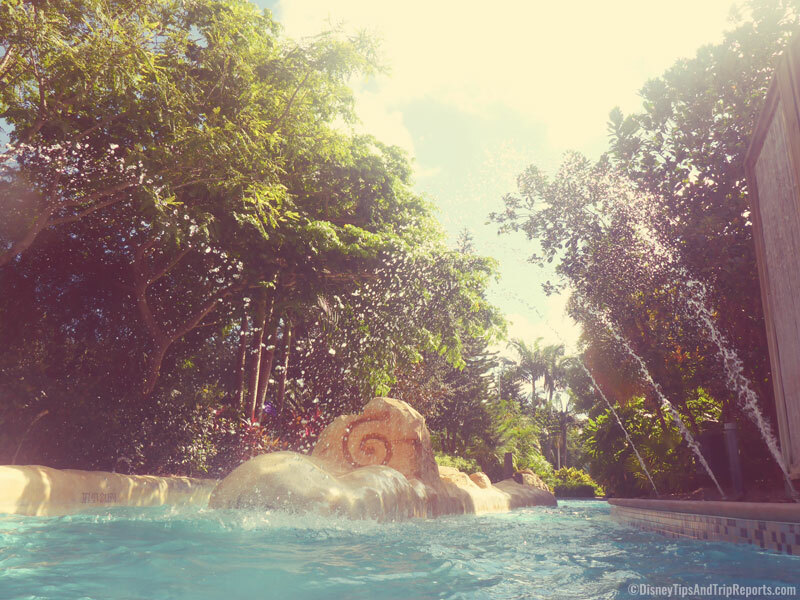 We get quite bored on the lazy river, so we don’t stay on it long, preferring to just be on the rapids instead. I know Chris and Meg went off to try some of the other slides, but Steve and I didn’t. I completely forgot to take photos of the buffet at Banana Beach Cook- Out – but I do have one photo from our 2013 trip!. 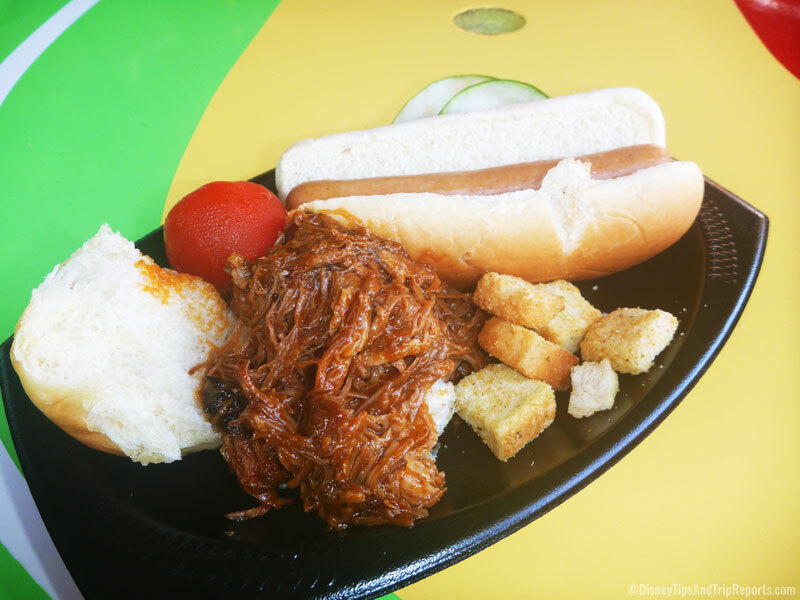 The food include American favourites like mac ‘n’ cheese, hot dogs, pizza, pulled pork, as well as pasta, salads, chicken drumsticks, fruit, and desserts. The food is nothing fancy, but tastes good, and considering you can go round the buffet as many times as you want it’s good value for money. 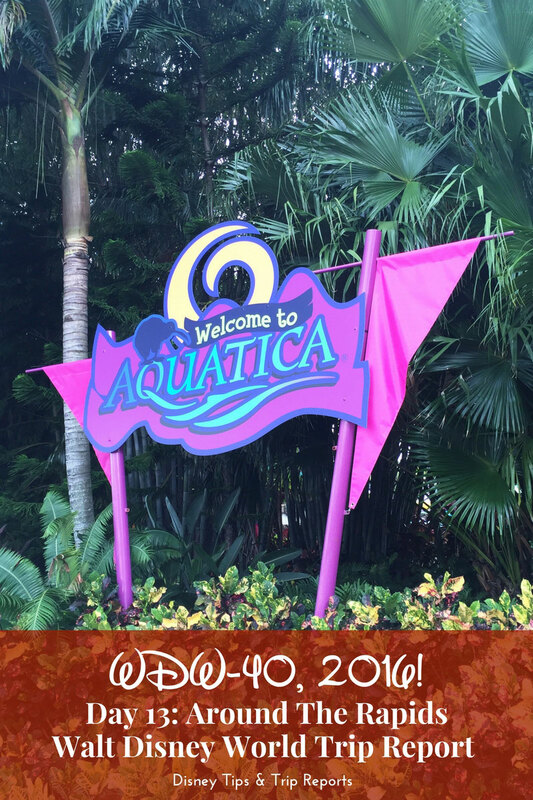 There isn’t too much more for me to tell about our experience at Aquatica this year, so I’ll just share some more photos of the park!